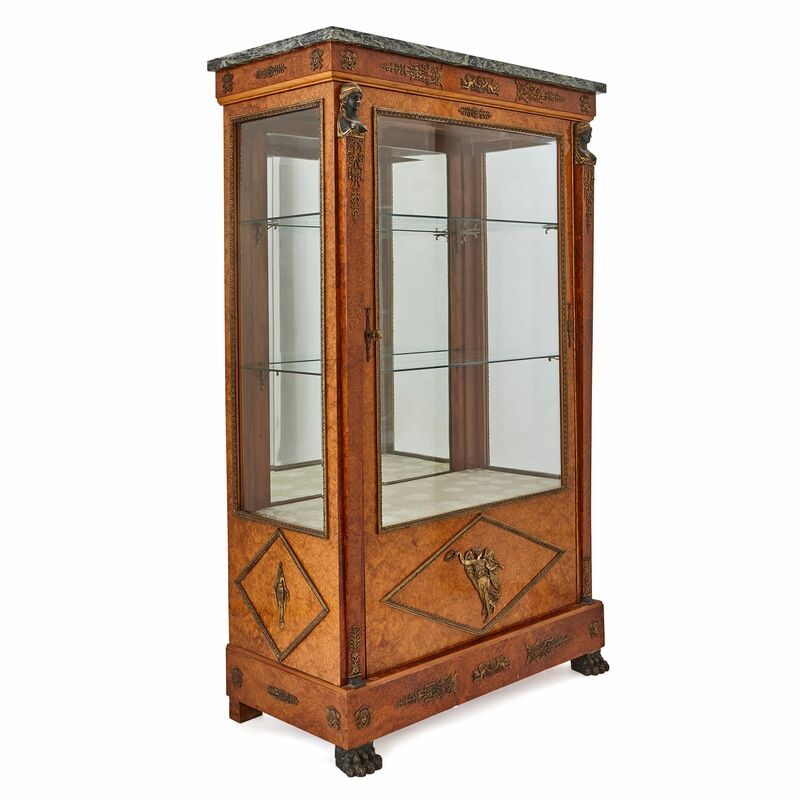 This Empire style vitrine is a truly beautiful piece, which was crafted c.1900 by the award-winning Parisian furniture company, Maison Krieger. This burr-amboyna vitrine is of rectangular form, with a glazed upper body. It is set on four feet, the front two of which are carved as lion paws. 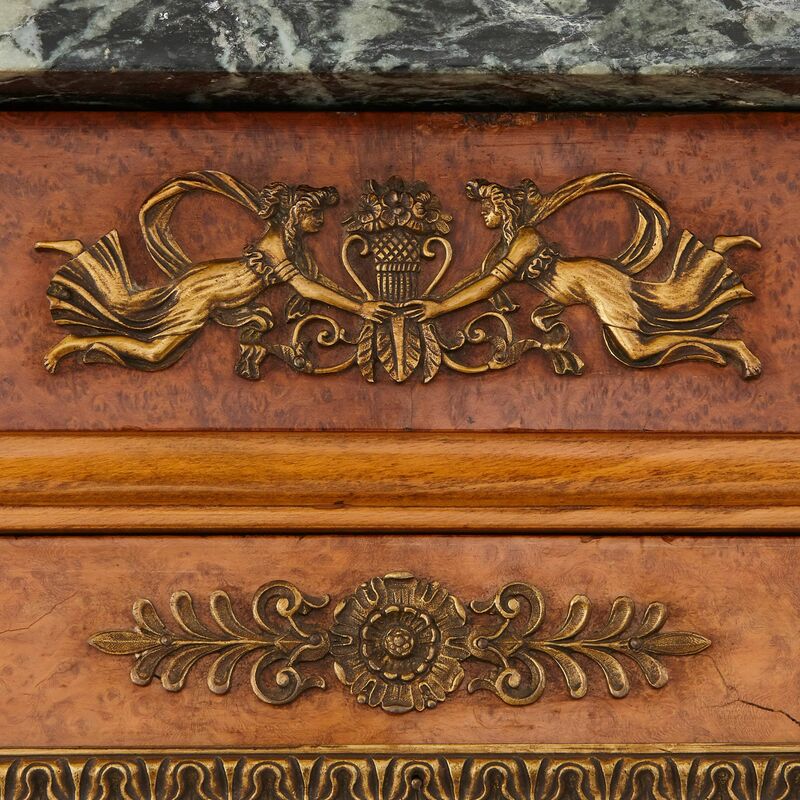 The base of the cabinet is decorated with ormolu (gilt bronze) mounts, taking the form of scrolling foliage, rosettes, classical masks, and figures in flight either side of flower baskets. 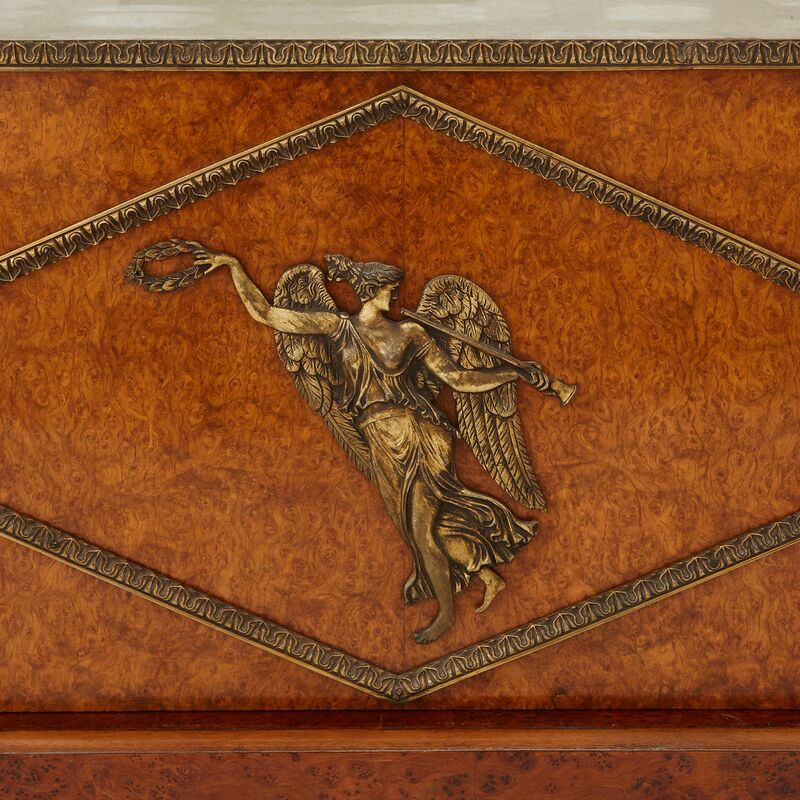 The cabinet’s lower body is mounted with the ormolu figure of winged woman, holding a trumpet and laurel wreath. 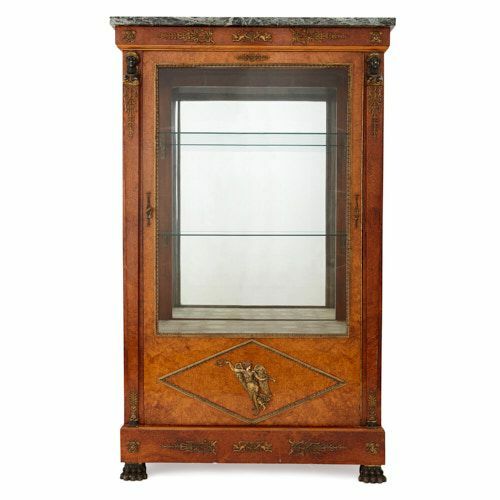 This is set within an ormolu diamond-shaped frame, decorated with leaf-and-dart mouldings. 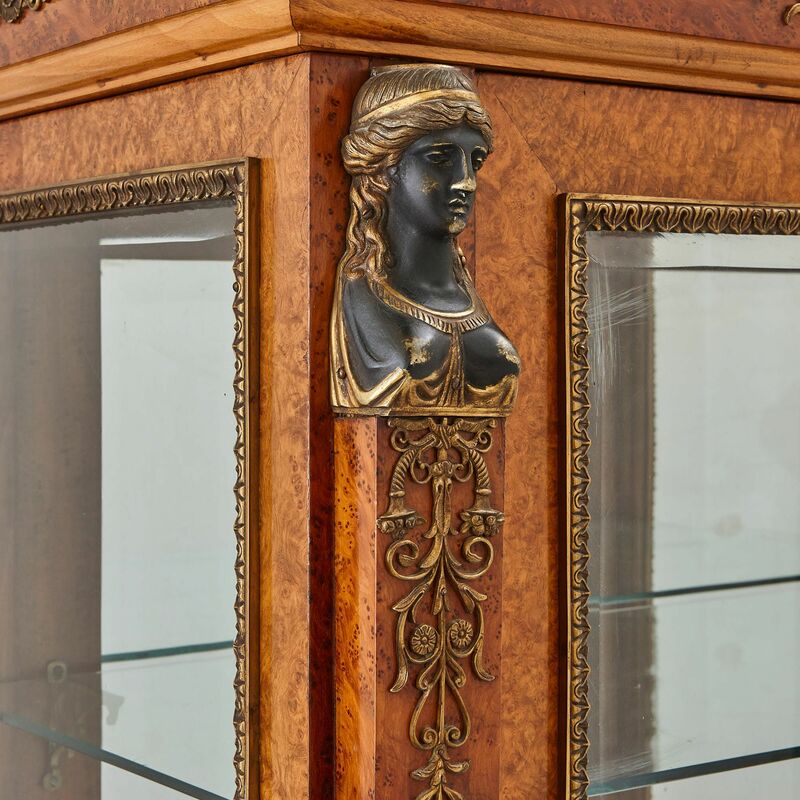 The lower sides of the cabinet feature ormolu figures with fruit baskets balancing on their heads, which are similarly framed. The upper body of the cabinet is glazed, to ensure that items displayed on the shelves can be seen. 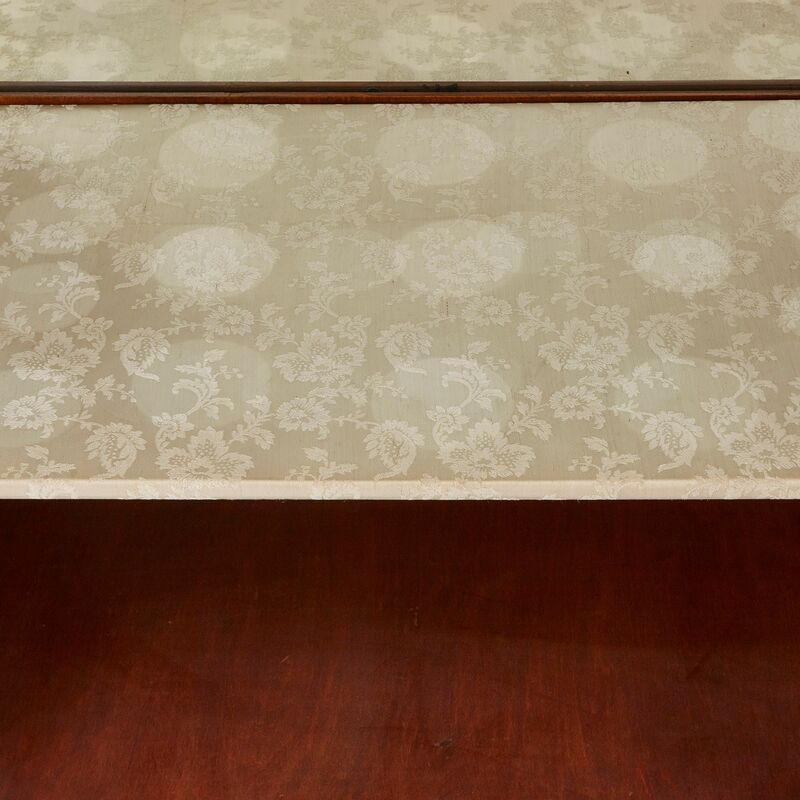 Two of the three shelves are crafted from glass, and the lowest shelf is covered with mint-green damask. The back of the cabinet is mirrored, and the front of the body functions as a door, which is lockable. The glass panes are set within foliate ormolu frames, and the door is flanked by pilasters, which are topped by patinated bronze bust sculptures of women with gilt hair, jewellery, and draperies. The pilasters taper towards their bases to terminate in ormolu foliate flourishes and patinated bronze feet. An ormolu rosette and scrolling foliage motif is mounted above the glazed door. The glazed body is surmounted by a frieze, which is decorated in a similar manner to the base. This is covered by a white-veined grey marble top. 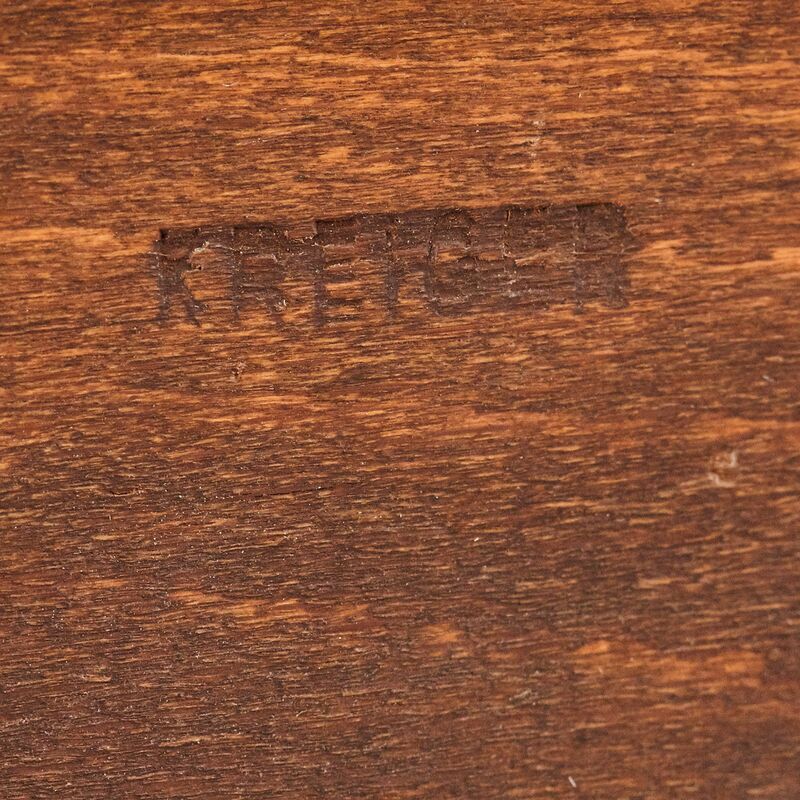 ‘KREIGER’ is stamped onto the vitrine. 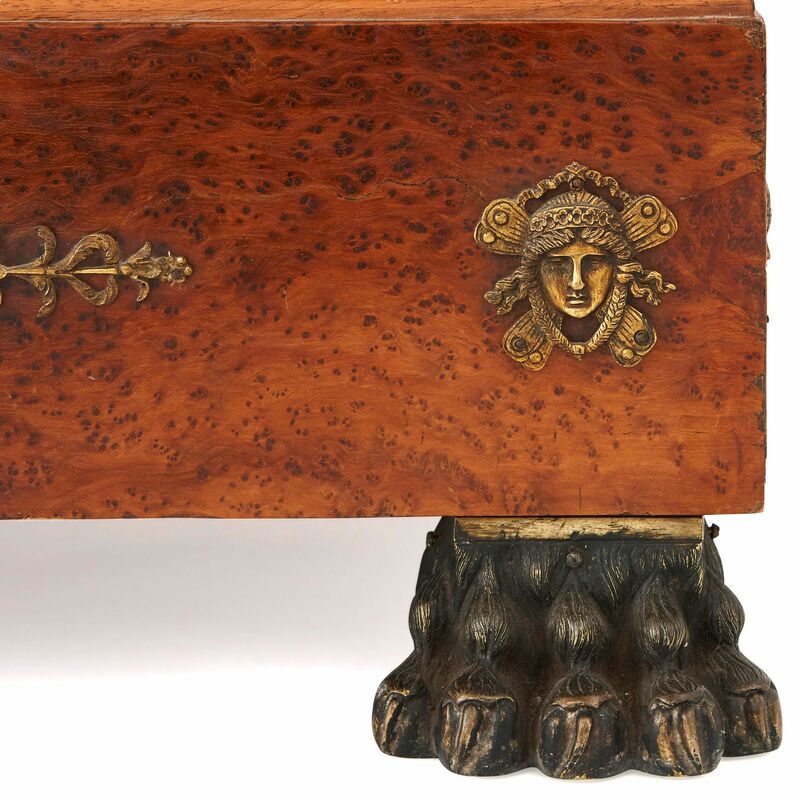 The maker, Maison Krieger, was one of the largest producers of furniture in Paris in the late 19th and early 20th Century. The company was located at 74, Rue Du Faubourg St. Antoine. Maison Krieger won several awards at the Exposition des de l'Industrie in 1849 and in the Universal Exhibitions of 1851 and 1855. By repute from the Egyptian Royal Family.